"Quality can not be beat!" COMMENTS: Terrific blend of salts which saves the time of doing it yourself. Holds color and fragrance well. Leaves your skin feeling silky. I've compared salts from many different places and the quality and price can't be beat. 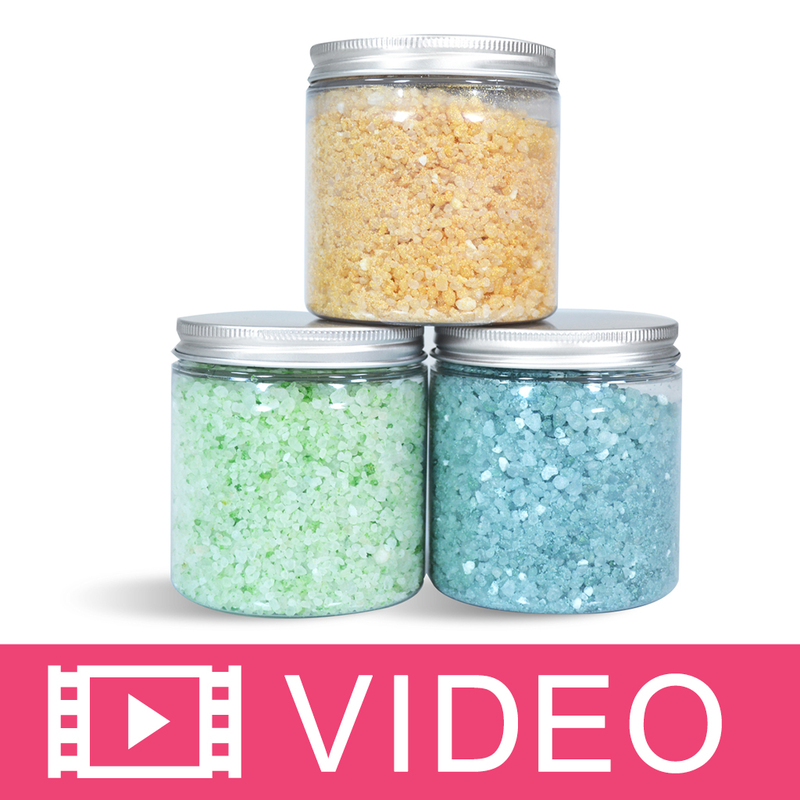 COMMENTS: A must have for salt scrubs and soaks!! COMMENTS: Used this product for bath salts and bath bombs. Worked very well. COMMENTS: I buy this for my salt scrubs and bath salt blends. Works great and will continue to buy! "Great addition to your bath salts"
COMMENTS: I love mixing different salts together for a nice detox bath. This one works well with larger grains of salt. COMMENTS: Makes the Best bath salts. Color nicely. COMMENTS: I love the salt Blend. This has been a best seller. COMMENTS: I had some request for bath salts and after doing some research I decided I had to include sea salt. My customers like seeing it on the ingredient list and the size of the granules are perfect. They told color and fragrance very well. COMMENTS: I love the mixture of salt sizes in this blend! They are perfect for making custom bath salts and mixing with other salts as well, they look very unique and professional! COMMENTS: love the blend!! nice mixture! COMMENTS: Great salt for balth salts. I mix this with dead sea salt. I like how the grains are a mix of different sizes. So easy to use. 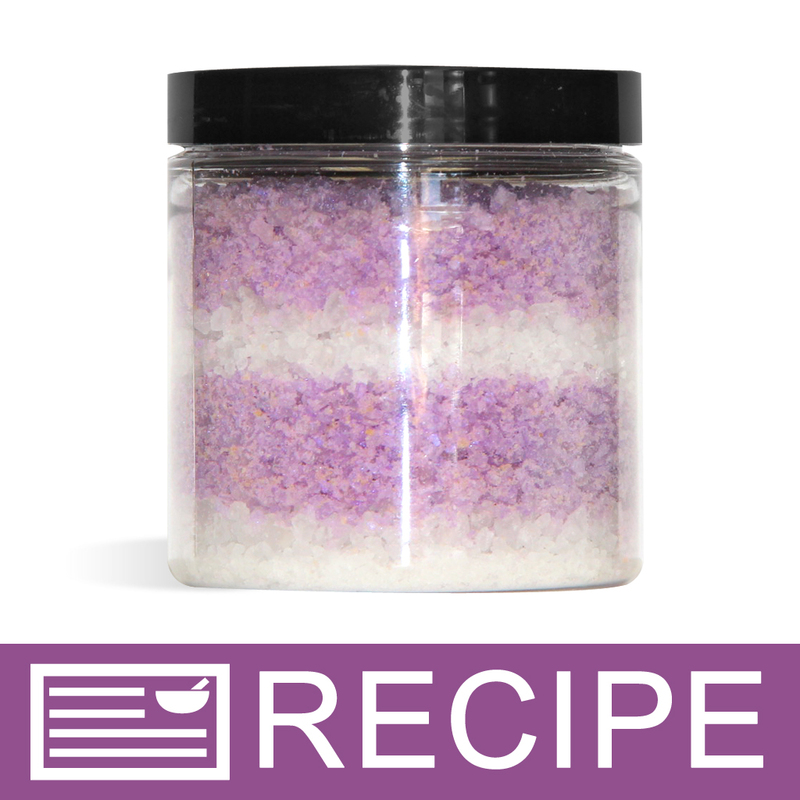 "Worked Great in Infused Bath Salts"
COMMENTS: Infused bath salts are a big-selling product for my business, but finding a good supply of decent quality sea salt is difficult. I ordered this product hoping it would work, and it did! It made an amazing salt soak. It held together when infused in the oil, but dissolved in hot water. Perfect for my needs. COMMENTS: These are a nice size and leave the bath water feeling great. I use them in mineral bath soaks with left over/exploded bomb powder. 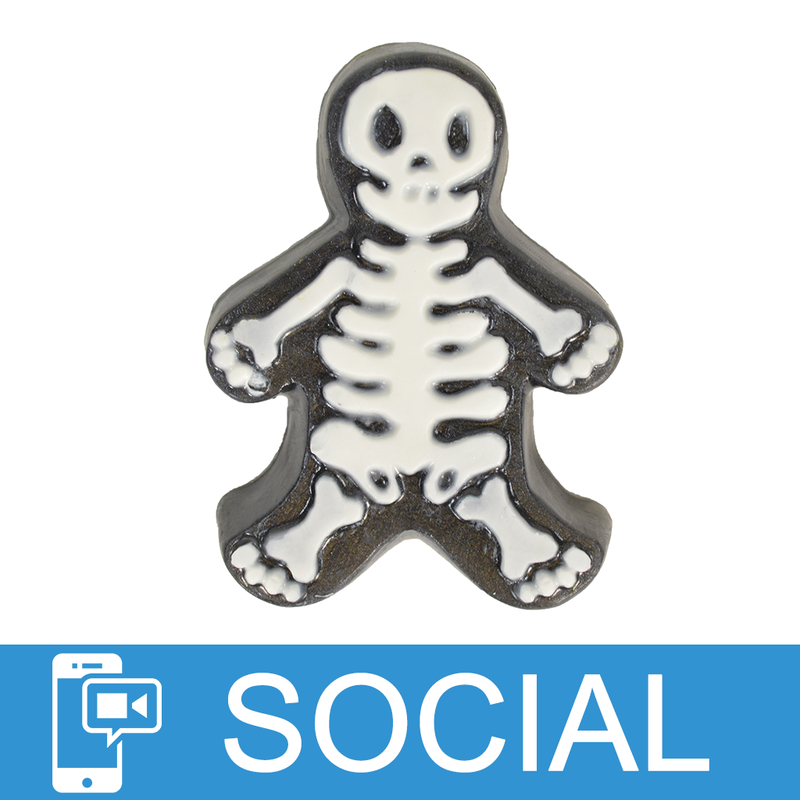 "Good for bath salt mixtures!" COMMENTS: Another good choice for bath salts! COMMENTS: This is a nice clean blend, you do not have to order a variety of sizes because they are already in this one. I use these with just bath Salt mixtures to bath bombs and they melt wonderfully. "Great for her bath bombs, salt, and sugar scrub"
"Used to make bath salts"
COMMENTS: I use this in my spa salts and the chunky grain I find to be easy to work with in that the fragrance oils don't "melt" these down. COMMENTS: I purchased the variety sample pack for bath salts. I have not tried them all yet so right now I can only compare this with the dead sea salt. This bath salt texture and size is a little bigger the Dead Sea Salt. It dissolves good but because the size is larger it takes a little longer to dissolve. Even though it is good I like the Dead Sea Salt better for baths. COMMENTS: I used to buy different sizes of european sea salts and make my own blends. This saves me time by already blending the different salt sizes so I only need to add my other varieties of salts and additives. COMMENTS: I loved this product. The salt held up and did not melt like I thought it would. I would suggest it to everyone! COMMENTS: I like the size of the salt crystals. I plan to use this to top my margarita soap bars. COMMENTS: This is a great quality salt and takes scent and color amazingly! "crafters choice salt blend european sea pure salt"
COMMENTS: Loved the grain size and how well it mixed with other ingredients. Can't wait to get the finished products to my customers. COMMENTS: These salts are fantastic. I mixed with the coconut milk powder and epsom, then scented with rosemary and added dried rosemary to the bag. Sold out immediately. COMMENTS: I love these salts for making a blend of bath salts. I like mixing for a range of sizes and salt types. These are great quality and value. COMMENTS: Love this blend and it worked just as good as the Dead Sea salts but a little cheaper! COMMENTS: perfect! i'll be coming back for more. COMMENTS: I love these for making bath salts & salt scrubs, not too small and not too large, just the right size. COMMENTS: I love this blend- I add it to my salt soaks along with a blend of other salts, and it melts well, and works great for rough feet. 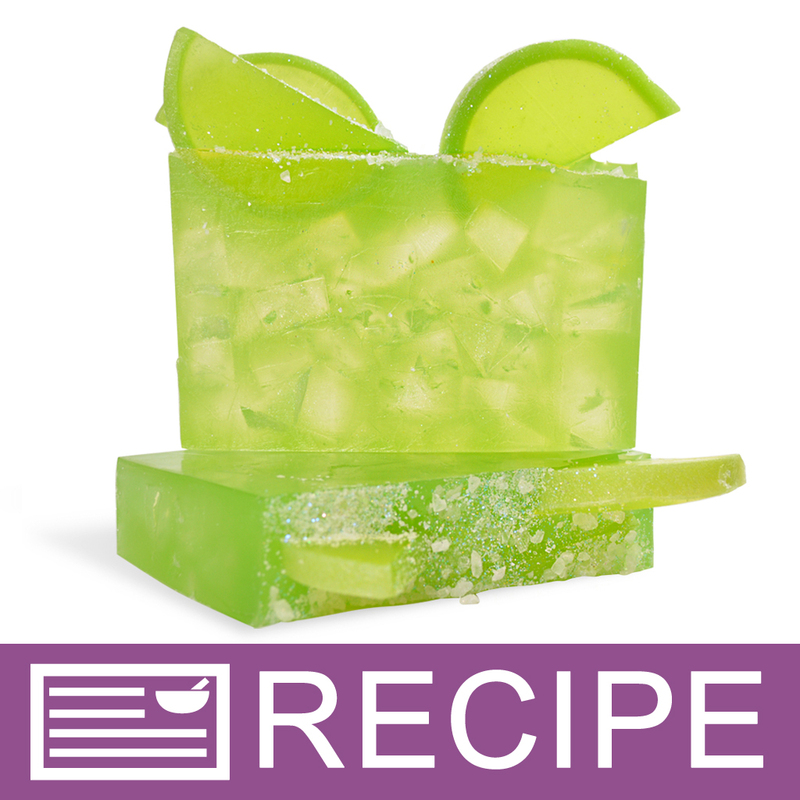 COMMENTS: Besides scenting and tossing in the tub, I sprinkled some on top of my green clay cold process soap. They held well, didn't melt, and gave the bars that frothy lather. Makes the bars soap special. "Does this work like epsom salts do? Helping with inflammation and pain and such? " Staff Answer European Salts have many soothing qualities but we cannot make any claims that they may help with inflammation or pain. "Is this a medium grain?" Staff Answer This salt is a blend of the three sizes of European Salts we carry: fine, medium and coarse grains. "What salts are exactly inside this blend?" Staff Answer This is a blend of different European Salts with different crystal sizes. "How many cups of Sea Salt are in the 1 pound package? The Layered Lavender Bath Salts recipe calls for 8 cups of sea salt, but there is no indication that I could find as to how many cups were contained in any of the package sizes offered. Thank you." Staff Answer 16oz of our Salt Blend is roughly 1.66 cups by volume. 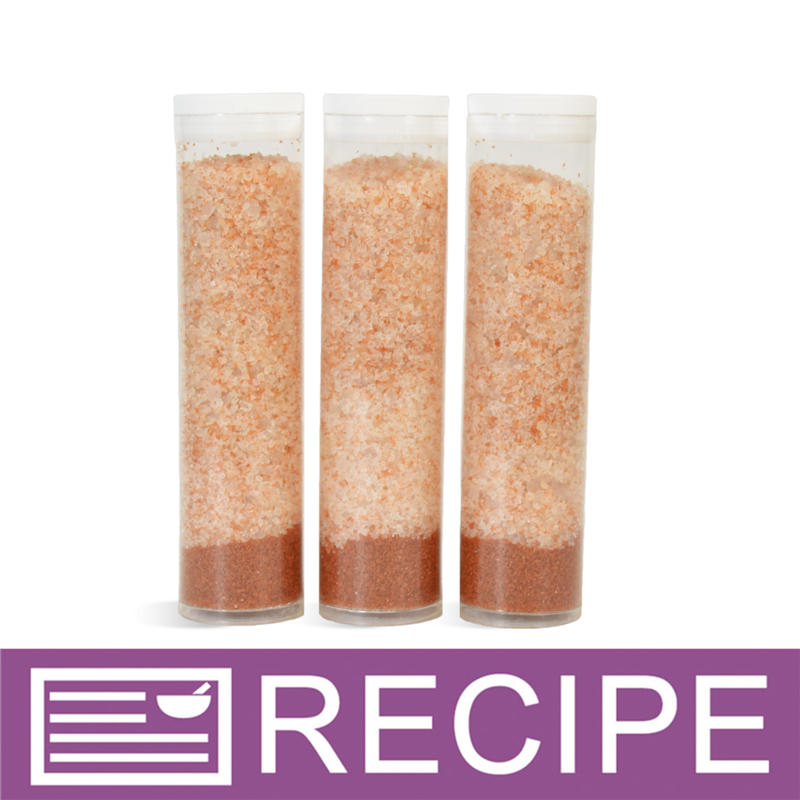 "I want to make a Bath Salt blend: If I am using 1 pound of European Salt (dry) and the maximum suggested 3% fragrance (liquid), how do I calculate the actual measurement of the fragrance to add? How many “drops” or “teaspoons” of fragrance is the 3% I should add to the 1 pound of salts? Is there a reference chart for working with dry and liquid ingredients that are formulated by using a "percentage"?" At 3%, the correct fragrance oil maximum is .48 oz per pound. If you don't have a scale (recommended), you can make 2 lbs batches and safely use 1 oz. of fragrance oil. Measurements should be based on actual weight of the product. So if you have a pound (16 oz) of salt, you would need 3% (or .48 oz) of fragrance. Basically, a little less than half an ounce. 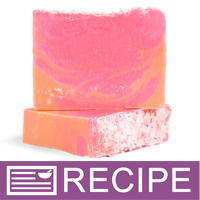 "hi could this be used for my cold process salt bar soaps.dont u all carry the lye to make liquid soap.thank u all the best site to shop on"
Hi, yes you can use the European sea (pure salt) for your cold process salt bars. You may want to consider using the fine blend for a smoother less scratchy bar. It does not appear as though WSP carries the potassium hydroxide needed to make liquid soap.